It has been a long while since I've visited Century City Mall. The horrific traffic in Makati never fails to keep me from this establishment. Luckily, I managed to drop by one Saturday with K before a foodie gathering. And of course, a trip to Century City Mall wouldn't be complete without visiting Hole in the Wall. 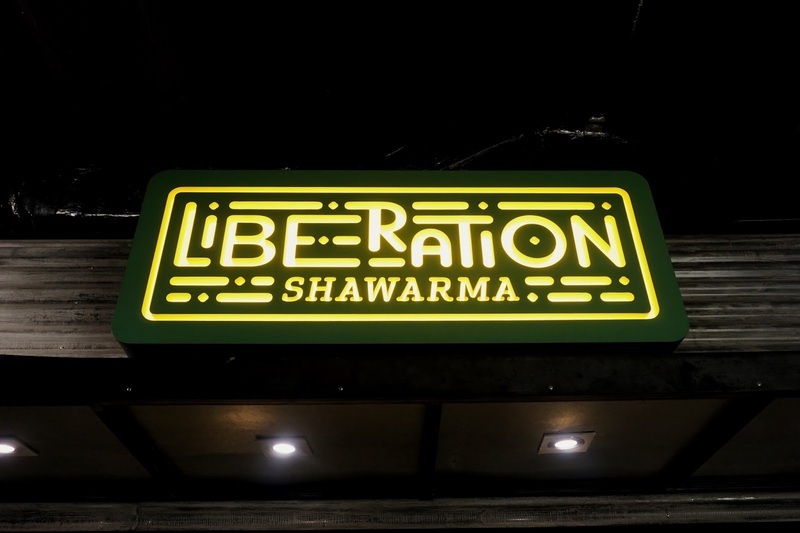 This time, I made sure to try some of the relatively newer concepts and I started with... Liberation Shawarma. I was craving for sharwarma for weeks and it was timely that I spotted Liberation Shawarma at Hole in the Wall. Without spending an extra second to decide, I decided to go with Beef Pita Shawarma (PHP290). It is also available with rice (PHP380) but I wanted to save space for the other food finds in the area. And I also had a party to attend that afternoon. It took around 10 to 15 minutes before the shawarma was ready for pick up and it was ample enough for us to grab other dishes and drinks. 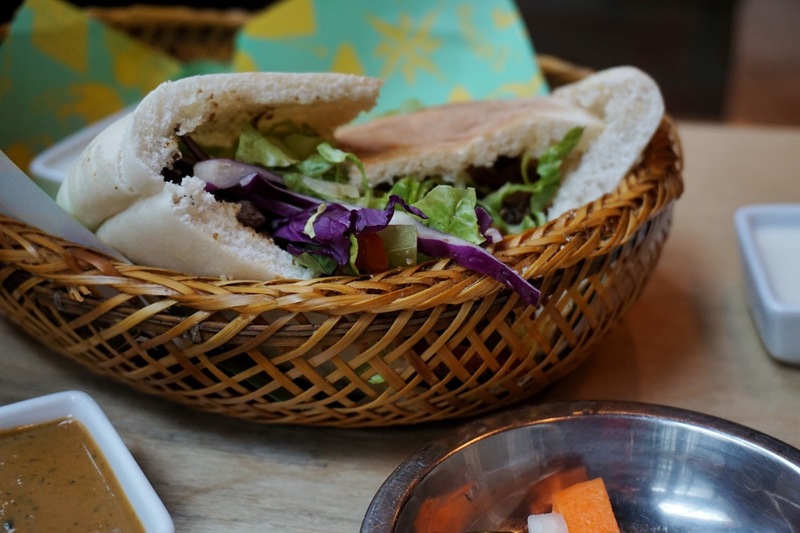 Aside from the pita pocket stuffed with shredded beef and crisp veggies, we were given pickled turnip, cucumber and carrot, hot sauce and the staple garlic cream sauce. At first, I was a bit disappointed with how it looked. It seemed like there were more pita and greens than meat. Considering that it costs a little short of PHP300, I was expecting a lot more. After all, some shawarmas only cost PHP60 to PHP80 and these are decent wraps. 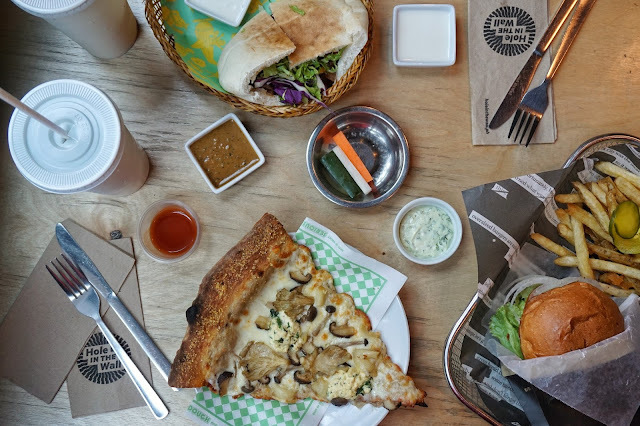 But there's more to this pita pockets. The pita alone was great! 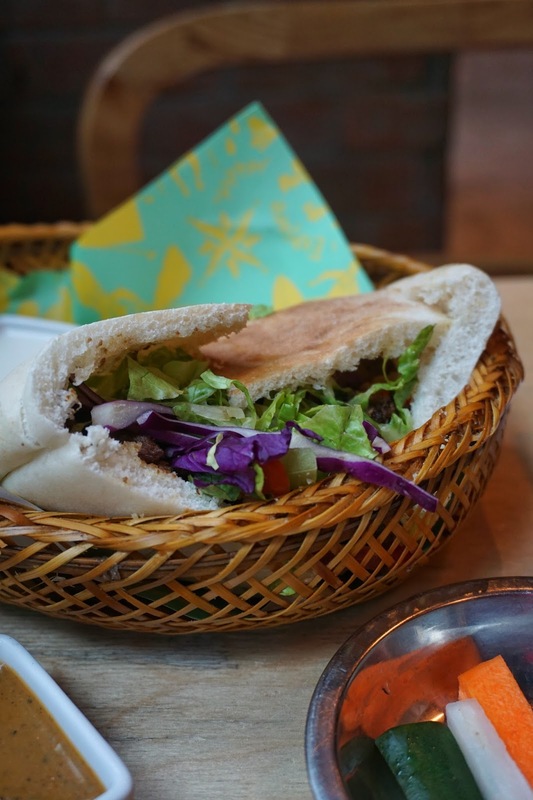 Though too thick for shawarma, the slightly salted pita was tasty on its own. Smother some of the light garlic cream sauce if you want it to be more flavorful. As I began to bite my way to the meaty part, I realized that this dish is messy to eat. I couldn't help myself drowning my portion with garlic sauce as I'm a big fan of Dracula's most detested vegetable. And after some time, it seeped through the pita pocket causing each bite to be a drippy mess. Overall, it was a good and filling meal. I just found the price of the Beef Pita a bit steep for what you're getting and I still could not help myself compare it with other shawarma joints. However, I'm willing to go back to try its other offerings like falafel. Liberation Shawarma is located at Hole in the Wall, 4th Floor, Century City Mall, Kalayaan Avenue, Poblacion, Makati City.